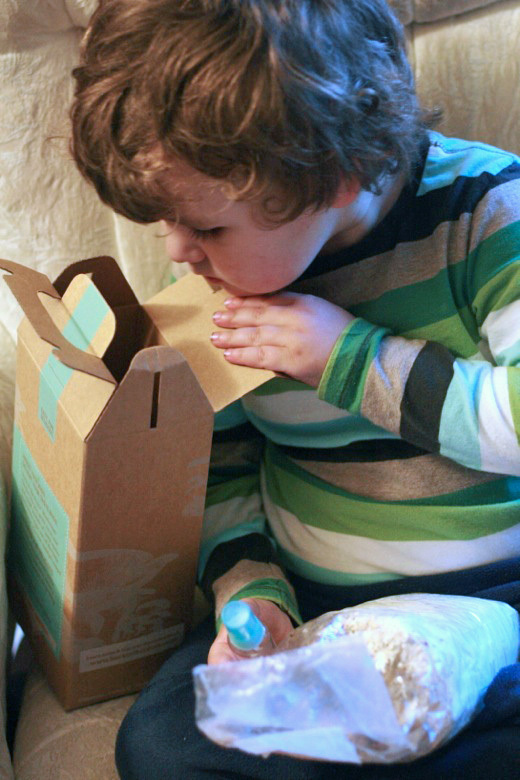 Our four-year-old son, Mikko, got to help in the process, although it’s so simple I actually wished there was more there to hold his interest. 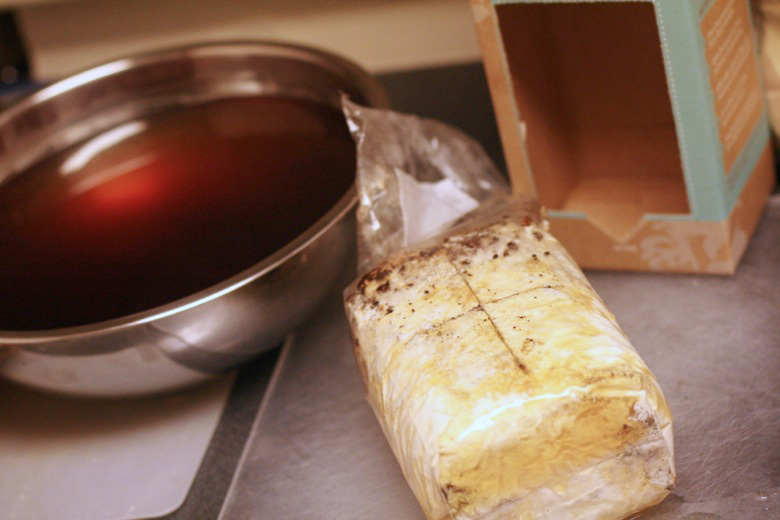 All you need to do is use a knife to cut a cross in the plastic, soak the bag in water overnight, and put the bag in its cardboard container in some sunlight. It was a two-minute project (or would have been if Mikko hadn’t spilled quite of bit of the brownish water on the floor when getting out the bag). 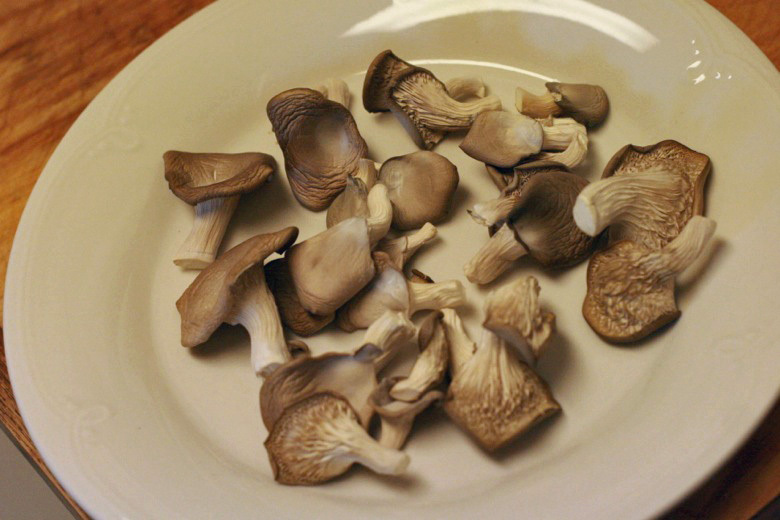 From there on out, it was a simple matter of misting the bag with water twice a day, using the enclosed spray bottle, and letting the ‘shrooms sprout. I was stunned by how quick the process was. Lauren’s the green thumb in our family and I haven’t even really found the work to be worth the reward in growing things myself, but this project couldn’t have been simpler. Mikko seemed to enjoy watching the mushrooms get bigger each day although he couldn’t bring himself to taste one. 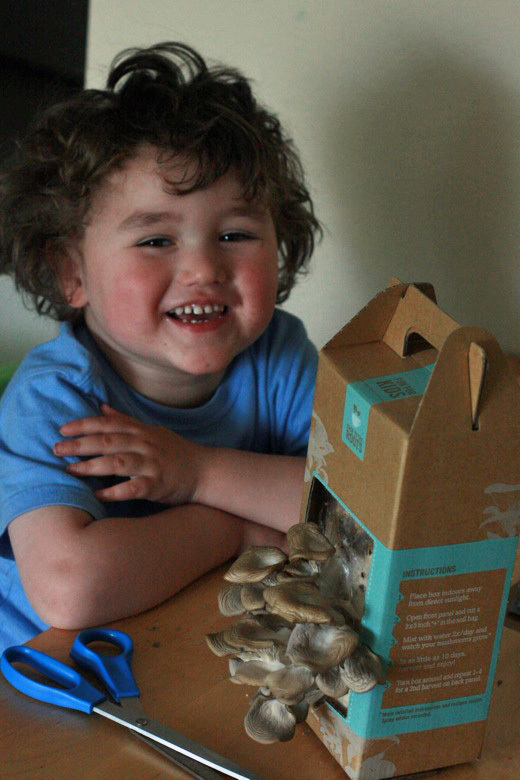 The mushroom kit is definitely something I’d do again once Mikko is a bit older and can anticipate eating them when they’re finished. The more enjoyment you get out of the process, the better value it is, of course. 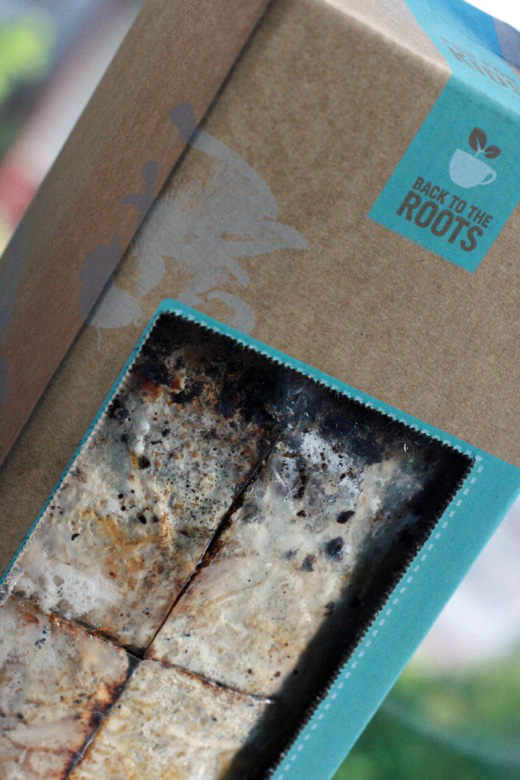 The founders of Back to the Roots were inspired by the idea of producing local, fresh food from what was an urban waste stream. The company is on pace in 2011 to collect, divert, and reuse 1 million pounds of coffee grounds this year from Peet’s Coffee & Tea, and to help families grow over 250,000 pounds of fresh food at home. They’ve also sustained 10 urban school & community gardens by donating the premium soil amendment of spent coffee grounds and mushroom compost. MANDATORY ENTRY: Visit BacktotheRoots.com and tell us something you’ve learned! 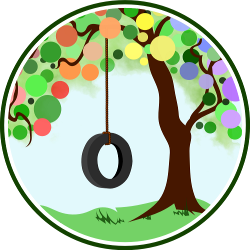 You must enter your name and email address in the Rafflecopter entry system for your entry to count, after leaving a comment on the blog post. Crackerdog Sam (that’s his hobo name) is a full-time work-from-home parent and a newly avid unschooler. He shares both the working and the parenting of four-year-old Mikko and five-month-old Alrik with Lauren of Hobo Mama. I learned that Back To the Roots helped families grow over 250,000 lbs. of fresh food in 2011! I didn’t realize it only takes 10 days to grow mushrooms! I would love to try this! We are trying to do more growing our own food and making things from scratch. This would be awesome! Wow! 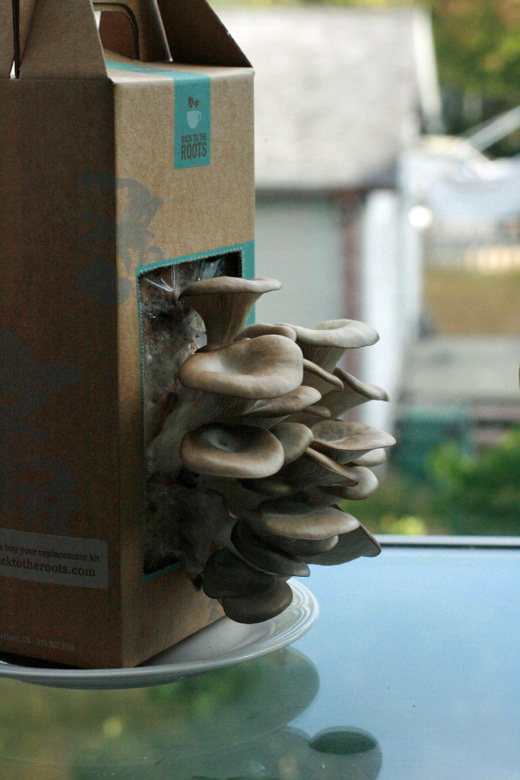 It only takes 10 days to grow healthy fresh mushrooms! I had no idea! 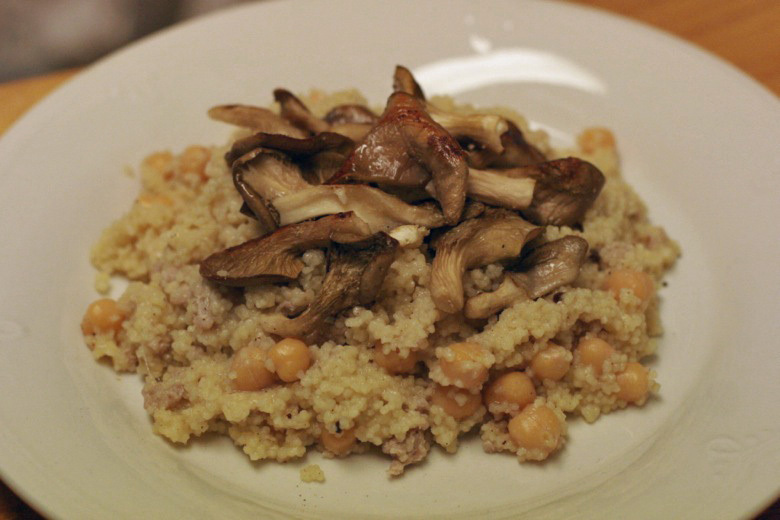 I would love a Back to the Roots Mushroom Farm because I have been trying to grow some of my own vegetables and I would love to try my hand at growing mushrooms! I would love to watch them grow with my son too! I learned that free shipping is offered on the purchase of 2 kits. I’d really like to try the mushroom garden out with my family. Fun and educational and yummy! Sorry for the extra comment but in the above 2 comments I forgot to put my e-mail dangchristine[at]hotmail[dot]com Thanks! Back to the Roots was founded by Alejandro Velez & Nikhil Arora during their last semester at UC Berkeley in 2009. 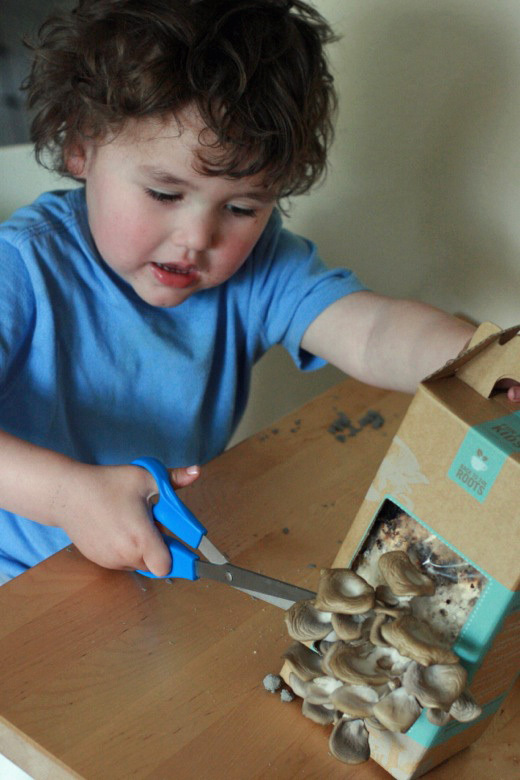 I love mushrooms and think my kids would love to learn how to grow them at home. 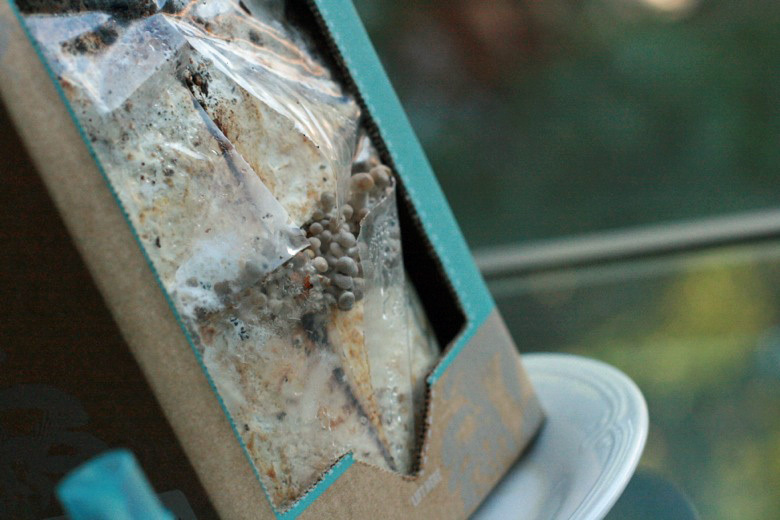 I learned that the mushrooms grow on coffee grounds and that the kits are sold at some Whole Foods stores. Seems like a cool idea! 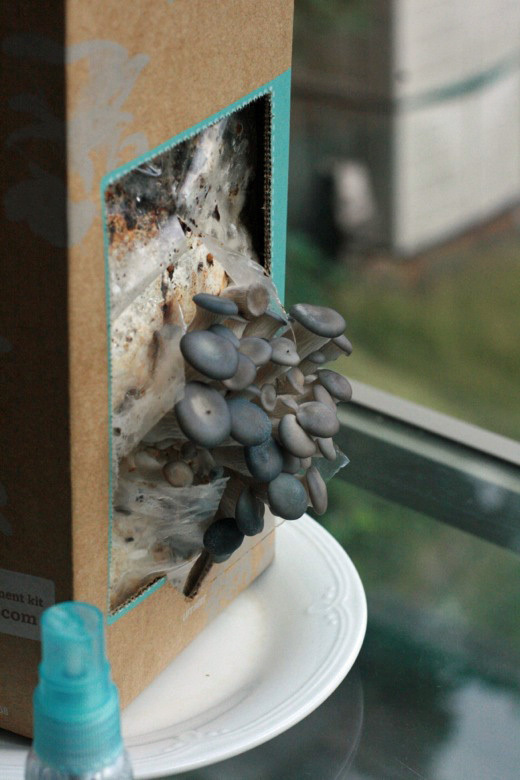 I have never heard of this- I didn’t think it was that easy to grow mushrooms safely at home so now I’m totally fascinated with the possibility and would love to win.